Though those with oily skin may think they have it the worst because of visible and clogged pores, dry skin types will be quick to argue. For them, the fact that their pores are nearly invisible does not make up for the dull, rough complexion they suffer, say nothing of the noticeable fine lines. If you’re one of those who seems to be constantly running out of moisturizer, here are some tips for you! Our genes are the biggest factor in determining what type of skin we will have. Like our hair color and eye color, how moist (or not) our skin is is genetically determined. If one or both of your parents had dry skin, you will be more likely to have it, too. The problem in dry skin is that it lacks natural skin oil, called sebum. Unlike oily skin types, who produce too much of this oil, dry skin types don’t have enough. In addition, dry skin types are less able to hold onto the moisture they do have. The outer skin layer is impaired or compromised, meaning that it lacks the “lipids” or fats it needs to hold onto water. In fact, dry skin types generally lack the lipids they need, and have fewer than oily skin types—which also causes the skin to lose its plumpness and elasticity. Dermatologists calls this skin type “vulnerable,” because the outer layer is compromised. When this happens, the skin loses water more quickly—and outside elements can more easily penetrate it. That means that dry skin is more vulnerable to irritation from harsh cleansers, chemicals, and preservatives than oily skin is. It may be more likely to react. In addition, because the outer layer is skin’s best protection against environmental stressors, dry skin types are more vulnerable to the assault of everyday living that can increase premature signs of aging. The name of the game with dry skin is moisturization and protection. Of course, anyone at any time can experience dry skin at various times in their lives. When and where does dryness occur? People with combination skin (some dry, some oily—we’ll talk about this in another post!) 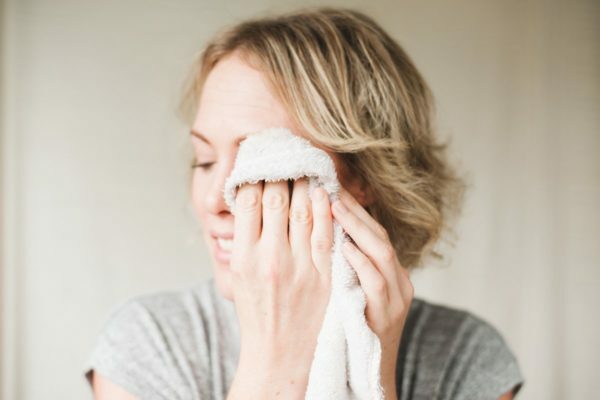 regularly have areas of dryness, and even oily skin types may experience dryness on their hands, cheeks or other areas of their body under certain circumstances. As we age, too, we may start to experience more dry skin than we had when we were younger, as aging depletes our skin of the lipids it needs to hold onto water. …when washing—it’s less likely to strip your skin of its natural oils. These strip skin oils—these include sodium lauryl sulfate and other sulfates, alcohols, synthetic fragrances, antibacterials, dyes, preservatives, parabens, lye, and bar soaps. Also, be aware of the type of detergent you’re using on your clothes, as harsh chemicals in most laundry detergents can irritate dry skin. All the time, summer and winter. UV rays are very drying and damaging to skin’s outer layer. …to increase the water content in the air in your home, particularly in your bedroom. The more humid the air is, the less it will rob your skin of vital moisture. Particularly if you live in a cold, dry climate. During the cold weather, wear gloves, hats and scarves to protect your skin from the elements. Like wool, as these can further irritate dry skin and weaken the outer layer. Choose cotton, bamboo, and silk instead. 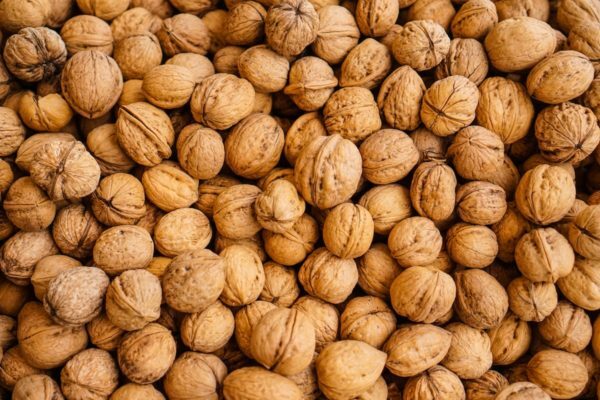 Like fatty fish, walnuts, and flaxseed. You can also take an omega-3 fatty acid supplement to help your skin. …in your personal care products. Dry skin types are even more vulnerable to the adverse effects of chemicals in typical cleansers, creams, serums, and treatments. Choose natural and organic products to help your skin look its best. Getting more vibrant, healthy looking skin starts with your daily routine. Dry skin requires gentle, gentle, gentle cleansing. Avoid all harsh ingredients and choose more sensitive, nourishing formulas. Use only lukewarm water, and if your skin is still dry, consider using only water to wash in the morning, then use your cleanser at night. Use our Aloe-Herb Facial Cleanser, which is a gentle blend of cleansing herbs and plants, and includes soothing aloe and calendula to help heal and moisturize even while cleansing. Your skin won’t feel tight after using this product! Unlike oily skin types, you don’t need a toner to minimize the appearance of large pores. You also don’t need anything that’s going to strip away your natural oils. That means for you toner needs to help rebalance your skin after cleansing, and to help start the hydration process. Try our Neroli Toning Mist, which is greatly calming and soothing, and will help bring skin back into balance. Dry skin types need to look for moisturizers that do more than just slather your skin with oil. You need oils, but you also need fats to help shore up the outer layer. Try our Anti-Aging Facial Oil, which is rich and super-hydrating, plus helps infuse your skin with the nutrients it needs to better hang onto the moisture it has. Tip: Always apply moisturizer immediately after cleansing, showering, or bathing. Allowing your skin to go “naked” for even 30 seconds contributes to dehydration. Dry skin types often need more moisture than what they get in morning and night applications. About 2-4 times a week, depending on what your skin needs, apply a moisturizing mask and let it sit for 10-15 minutes. This will allow the nourishing ingredients to sink in, helping your skin to better hold onto moisture in the future. You can make some of your own hydrating masks with avocado, yogurt, bananas, honey, and the like, or you can try our Coconut Honey Mask, which hydrates while smoothing out the appearance of fine lines and wrinkles and giving your skin a good dose of fatty acids. Tip: Apply, then soak in your warm bath for up to 15 minutes before washing off. The steam will help the nutrients penetrate more deeply into the skin! Dry skin types need to exfoliate. Unlike oily types, however, dry skin types need to do this extremely gently. Whereas an oily skin person may be able to withstand a scrubbing mask, dry skin types need to be more careful. Never use cutting exfoliators like those that include crushed nuts. Try our Dead Sea Facial Scrub, but go easy—do not scrub too hard! You can also try mixing a can of pumpkin with ½ teaspoon of cinnamon, then leave on your face for 5 to 15 minutes. The natural enzymes in the pumpkin will help loosen up dead skin cells. Dry skin types often respond well to alpha-hydroxy acids, as they help exfoliate and also moisturize. Some can be too harsh, however—particularly if your skin is sensitive, as well. Choose those that come from natural sources like fruits (malic), milk (lactic), and sugar cane (glycolic). (Our Coconut Honey Mask provides malic and lactic acids.) Apply these products as needed, typically 2-3 times a week. Try our Citrus Stem Cell Serum, which uses citrus stem cells to help the skin look smoother and fresher, while powerful antioxidants protect from environmental stressors. Use our Anti-Aging Eye Cream to improve the look of skin around the eyes, and reduce the appearance of fine lines. Do you struggle with dry skin? How do you cope? Please share any tips you may have.